TESLA CEO Elon Musk's elaboration on his plan to engineer a buyout of the electric car maker could get the Silicon Valley maverick into legal trouble by revealing that the deal is far more uncertain than how he initially described it in his brash tweet last week. If everything falls into place, Musk plans to buy Tesla from any existing shareholders willing to sell using money raised through Saudi Arabia's sovereign wealth fund. Until his Monday blog post, Musk hadn't identified the source for financing a deal that analysts estimate could cost anywhere from $US25 billion to $US50 billion. 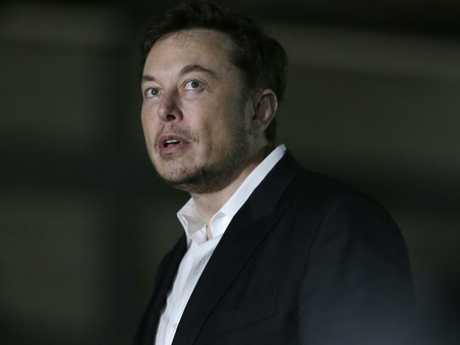 But when he initially dropped his bombshell in an August 7 tweet, Musk stated he had "funding secured" to buy Tesla stock at $420 per share - 23 per cent above its August 6 closing price. That assurance caused Tesla's stock to surge 11 per cent in one day, boosting the company's market value by more than $6 billion to the dismay of investors who had been betting Tesla's shares would decline. It now appears as if financing for the deal is far from locked up, although Musk wrote on Monday that he was encouraged to pursue the buyout in a July 31 meeting with the managing director of Saudi Arabia's Public Investment Fund. Discussions have continued this month, Musk wrote, while adding the caveat that the deal remained "subject to financial and other due diligence and their internal review process for obtaining approvals". That contingency contradicts the financing guarantee that Musk issued in a tweet that already has opened an inquiry by the Securities and Exchange Commission, according to published reports. At least two lawsuits seeking to become a class action have also been filed against Tesla, alleging Musk broke securities laws by making it sound like all the financing for the buyout had been lined up. "'Funding secured' wasn't exactly funding secured," said Peter Henning, a law professor at Wayne State University in Detroit and former SEC lawyer. "There are some issues here." After reading Musk's Monday post, former SEC commissioner Joseph Grundfest concluded the chances of regulators taking action against Musk are now "quite high". 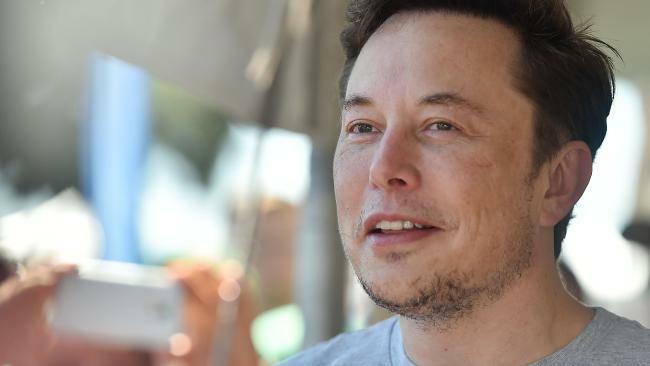 He believes Musk, who runs cutting-edge aerospace company SpaceX in addition to Tesla, opened a "self-inflicted wound" by announcing the buyout in last week's nine-word tweet instead of spelling out the situation like he did in Monday's post. "What Elon Musk is trying to do with electric cars and rockets is hard enough without creating more problems for yourself with bad Twitter hygiene," Grundfest said. Tesla wouldn't comment on a possible SEC investigation or why it took a week for details to be released in the blog. The SEC also declined to comment on Monday. Six of Tesla's nine board members said last week they were evaluating Musk's proposal, which would end Tesla's eight-year history as a public company and relieve some of the mounting pressure to reverse its long history of losses. Besides making assurances about the deal's financing, Musk also sent out another tweet that asserted the only uncertainty was whether the majority of shareholders would approve it. That statement also helped drive up Tesla's stock, irritating investors such as Mark Spiegel, whose Stanphyl Capital investment firm has been a long-time "short seller" of the shares. Short sellers borrow shares in a company's stock and sell them immediately on the premise they can be replaced at a lower price in the future. "My guess is he was fooling around," Spiegel said of Musk's early tweets about the buyout. "He probably was getting a good laugh out of it." Although Musk only recently broached the possibility of buying out Tesla with its board, he wrote on Monday that the Saudi Arabian fund had approached him about taking the company private multiple times during the past two years. Founded in 1971, the Public Investment Fund ranks among the world's largest sovereign wealth funds, giving it the means to buy out Tesla. It already holds about $250 billion investments around the world, according to the Sovereign Wealth Fund Institute, including a $US3.5 billion stake in the biggest ride-hailing service, Uber. Buying all of Tesla's stock would currently cost $US72 billion, but a buyout of the Palo Alto, California, company probably wouldn't require as much money. That's because Musk owns roughly 20 per cent of Tesla's stock and he envisions two-third of the company's current shareholders retaining their stakes in a newly created special fund. If only one-third of Tesla's stock is sold in a buyout offer, it would cost nearly $US24 billion. 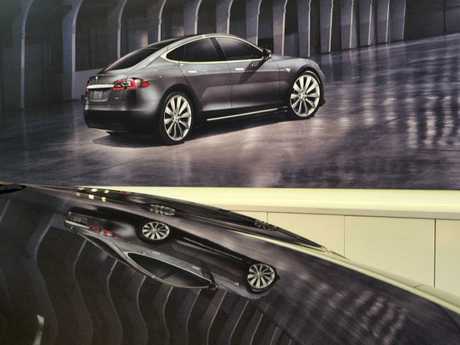 Other analysts have estimated financing a Tesla buyout would cost closer to $US50 billion. Investors are much more sceptical about Musk being able to pull off a buyout than they were after his first tweet about the deal. Tesla's stock crept up 92 cents on Monday to close at $356.41, well below Musk's proposed bid. Even if the financing is in place, the deal might not come together because it would involve foreign interests buying at least one-third of a US company that is trying to revolutionise the auto industry with its electric vehicles. The government's Committee on Foreign Investment in the United States would likely review this deal because of Tesla's technology and the likelihood that a foreign country would get at least one board seat to gain some control over a US company, said Jeremy Zucker, co-head of the international trade practice at Dechert LLP in Washington, D.C. Whether it's technology pertaining to longer-life batteries or technology pertaining to what's behind the dashboard in a Tesla car, "I can see CFIUS viewing these technologies as of potential national security interest," he said.